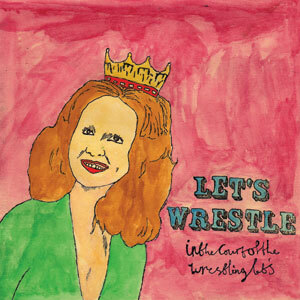 The Husker Du-lionising and strategic swearing of earlier releases might be absent, but Let's Wrestle's copious charms are otherwise very much in force on their full-length debut. They're a comedic, careering proposition, all speaker-flinging guitars, furiously fluid bass (most notably on 'We Are The Men You'll Grow To Love Soon' and courtesy of the magnificently monikered Mike Lightning) and distracted-yet-impassioned hollering about Gedge-esque insecurity ('My Arms Don't Bend That Way, Damn It! '), bedsit schlock ('Insects') and the outright weirdness of the fetishising fandom of a certain deceased princess (the outstanding 'Diana's Hair'). It's an utter shambles, inevitably, but submission's virtually mandatory.